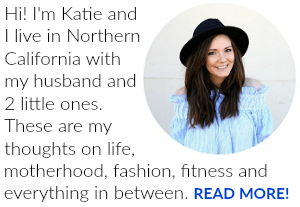 Last Updated: February 23, 2019 By Katie Leave a Comment -- Paid Promotion. Disclosure policy here. All this week, I was convinced I was 21 weeks, but then I got that nice little email reminder from my pregnancy app that it’s actually week 22, soooooo. That’s how this week is going. ;) Sophie’s 3rd birthday party was this weekend (sharing all about her fun unicorn party tomorrow, so stay tuned!) and right after that we both got super sick with a 24 hour stomach bug (thankfully it only lasted less than 24 hours! ), so all of Monday was shot for me. I’m confused as to what day it is, too, because of that. But hey. Here we are! 22 weeks already!!! 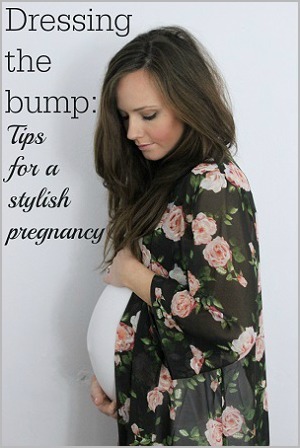 And here’s a little bumpdate, with some of my current pregnancy favorites! 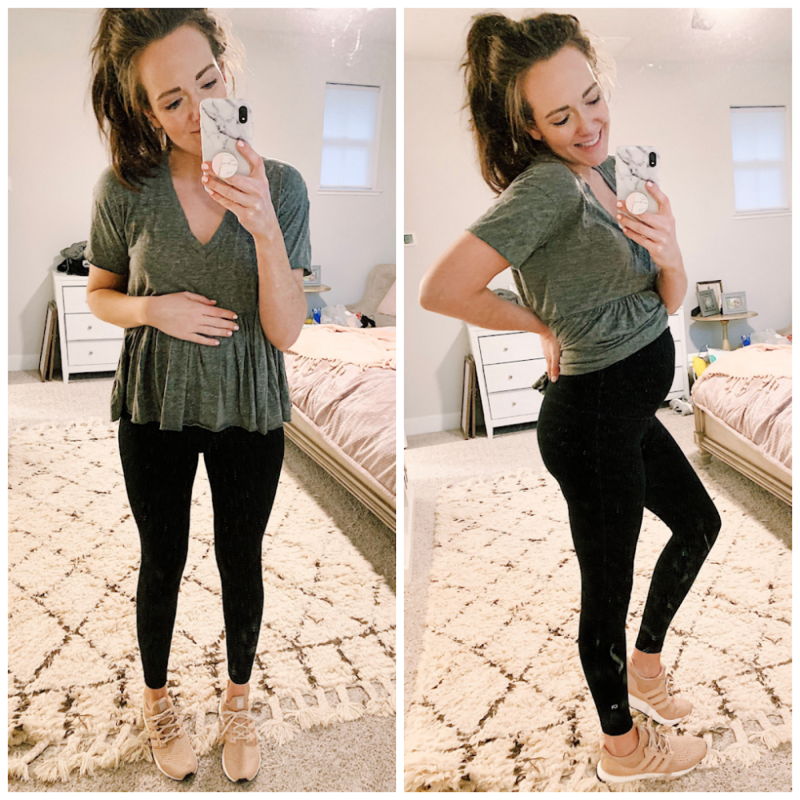 Maternity clothes: Up until now, I’ve been wearing my non-maternity Zellas for working out, but the bump is slowly making that less and less comfortable (read: the waist rolls down a bit), sooooo I was on the hunt for a great pair of compression but still comfortable, thick, perfect maternity workout leggings! AND I FOUND THEM! And they’re affordable, yay! THESE GAP WORKOUT LEGGINGS! Seriously, if you’re pregnant, get these. So good. 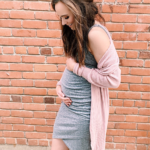 They are true to size- so get your regular pre-pregnancy size! They remind me of my Zellas, but for maternity! I also got a few hand-me-downs from a friend, and am obsessed with THESE BEYOND YOGA MATERNITY LEGGINGS. So freaking comfy and soft, I never want to take them off. Best moment this month: Baby is KICKING so much now!!! I love love love it! Worst moment this month: Definitely the stomach flu, and throwing up every hour on the hour for 8 hours straight. 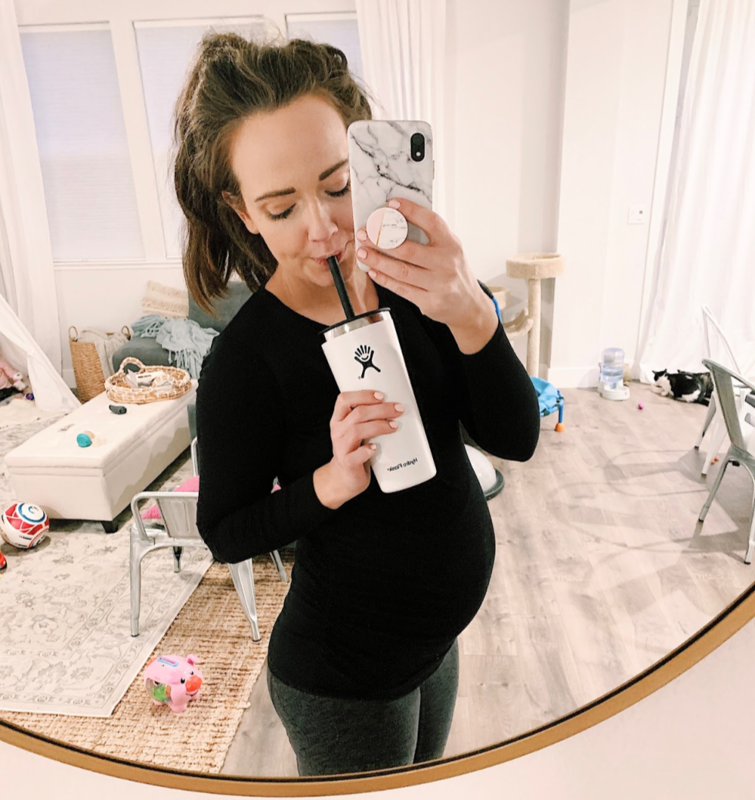 Kind of scary when you’re pregnant, but grateful I was able to stay hydrated and that it only lasted that long. And plus side: it made me sit still all day long and I really got to feel alllll of the kicks. :) Still, not something I recommend while pregnant (or any time, really). Cravings: Fruit! Another one I craved majorly with Sam moreso than Sophie! So interesting how my cravings are so similar with my boys vs my girl! Also, water. Which sounds so silly, but I am just constantly drinking water and can’t get enough! I know it’s really good for me, so I ain’t complaining. And my new cute Hydroflask tumbler helps make it easier, too. ;) Grab the straw attachment here! Queasy or sick: Thankfully I am out of the woods of nausea! Yayyyy! That was a long one this time. Thank God I feel so good now! Now I’m just always out of breath already, ha! 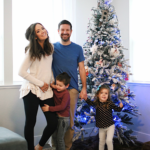 Looking forward to: Staying fit through my pregnancy! 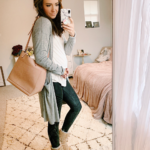 Workouts were very hit or miss the first trimester because of the nausea, so it feels REALLY good to be able to move my body and get a good workout in! I know being fit will help SO MUCH in preparing for labor and in my general happiness, so I’m gonna keep moving! 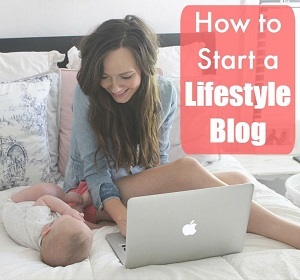 :) I’ve been going to my Stroller Strides class and plan on doing Tone It Up workouts, as well.